Thank you for joining me as we count down to the MFT release. We are just two short days away from the big day! All the new Stamps and Die-namics will be available on Tuesday, January 9 at 9:00 pm EST. Be sure to check out the MFT Blog to see all the new items being revealed today. Don't forget to leave a comment on the MFT Blog countdown posts, YOU could win one of the five $75.00 gift vouchers. As you can see, I am still having fun with alcohol inks. 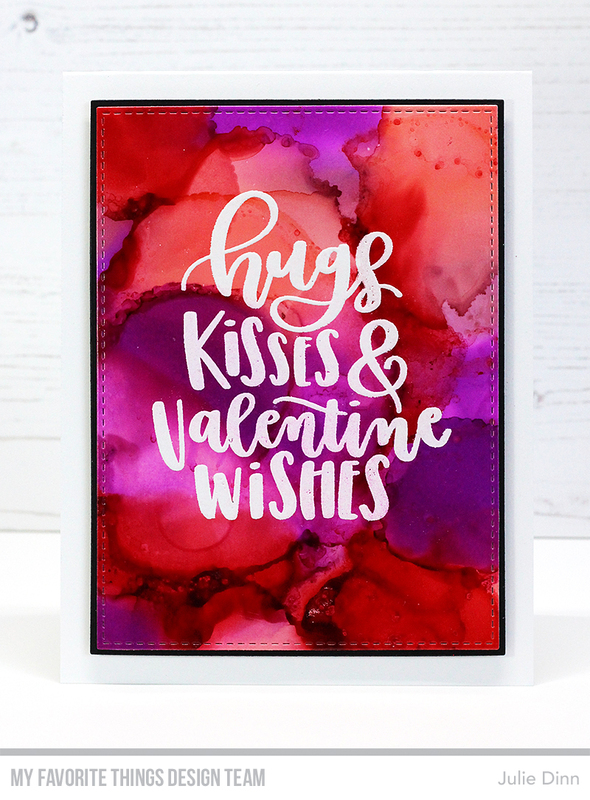 For this card, I paired them with one of the sentiments from the new Valentine Wishes stamp set. Whoa! Those alcohol inks are really amazing! Oh my goodness, this is beyond GORGEOUS! Oh my ! Your card is fabulous with this incredible background ! Whoa! That BG is so striking! Beautiful background! I love how bright it is. I'm in love with the background!Amazing!